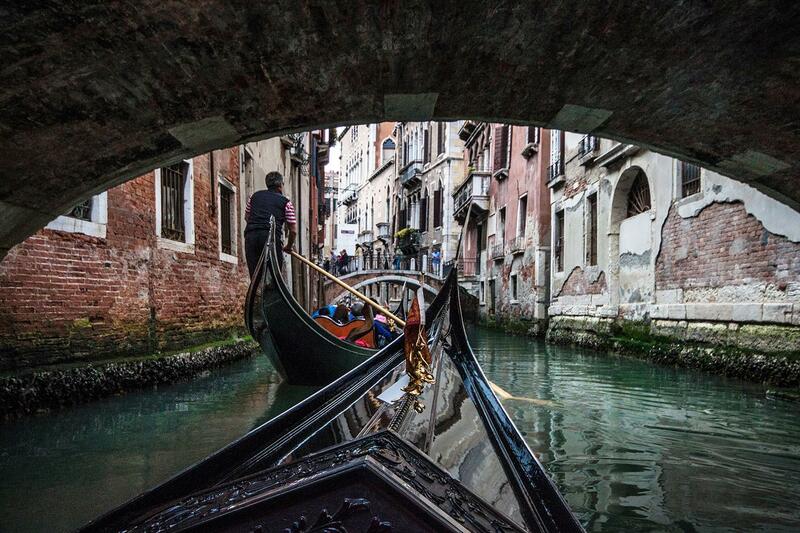 A gondola ride is the most traditional, enchanting and unique way to explore Venice and experience its unique atmosphere. A tour through the canals and inner waterways of this city which will make us feel as stepping into a far, old time, still alive and pulsing in this magic corner of the Earth. 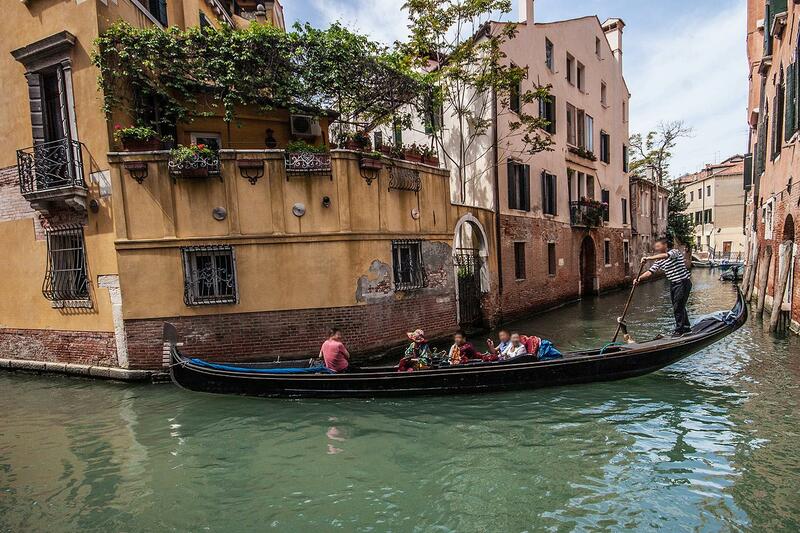 Let yourself slide along the peaceful canals of Venice, enjoying the silence away from the crowds and the picturesque views which can be admired only from this one-of-a-kind perspective. 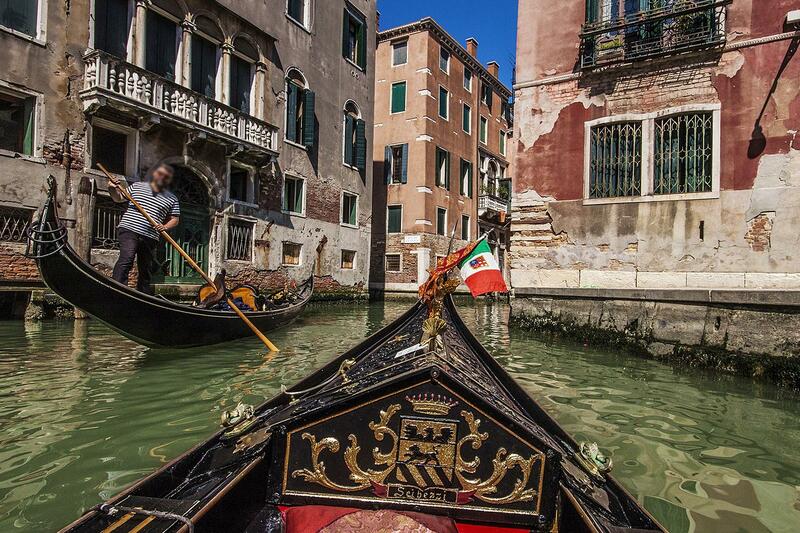 Take your place on the gondola (maximum of 6 people per shared gondola) and let the local gondolier, in his distinctive blue and white striped shirt, carry you along the hidden channels of Venice on a 25/30-minute ride. Please note it is a slow ride, of about 20 to 30 minutes from embarkation to disembarkation. 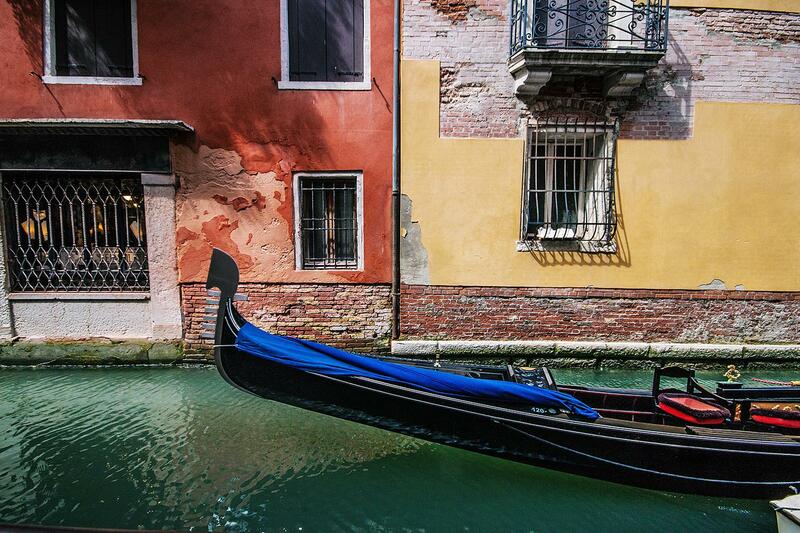 Considered one of the most beautiful and elegant boats on earth, the traditional Venetian gondola is built following unique techniques that incorporate symbolic meanings. 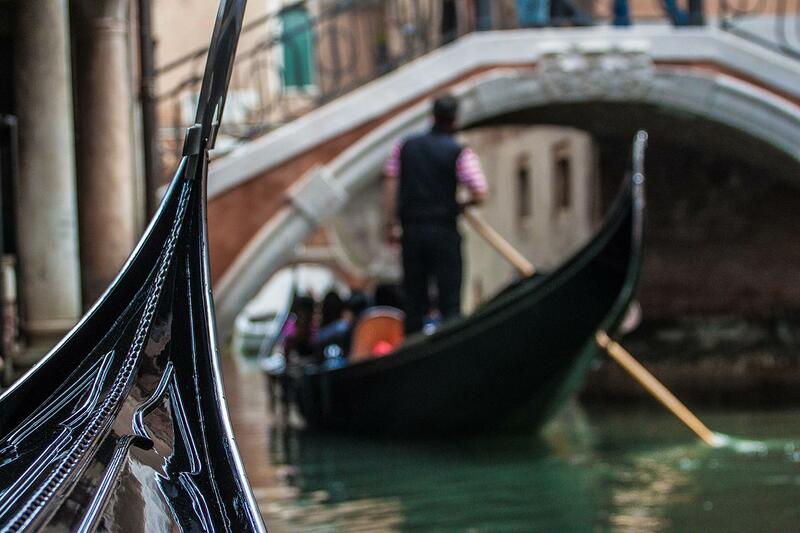 For example, the gondola’s multi-pronged ferro, or prow, features pettini that are symbolic of the 6 sestieri (divisions) of Venice. 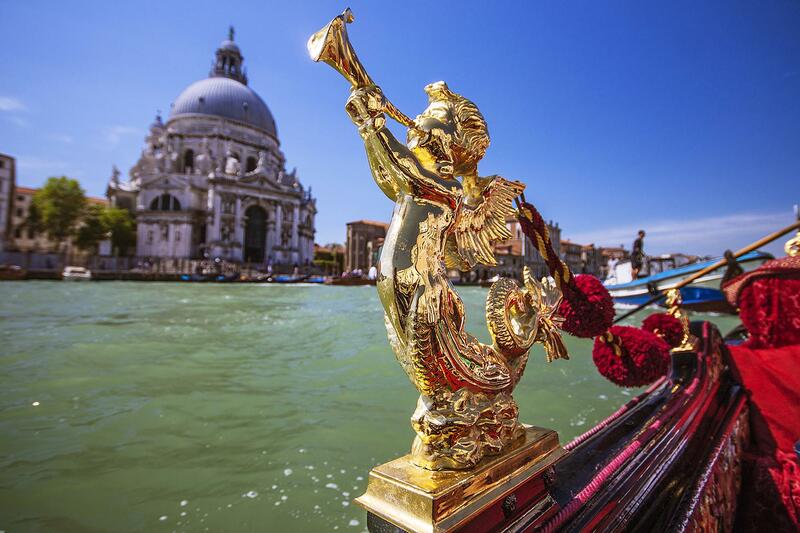 This part is made of iron is to balance the weight of the gondolier, and has the shape of an S, evoking the flow of the waters of the Grand Canal. 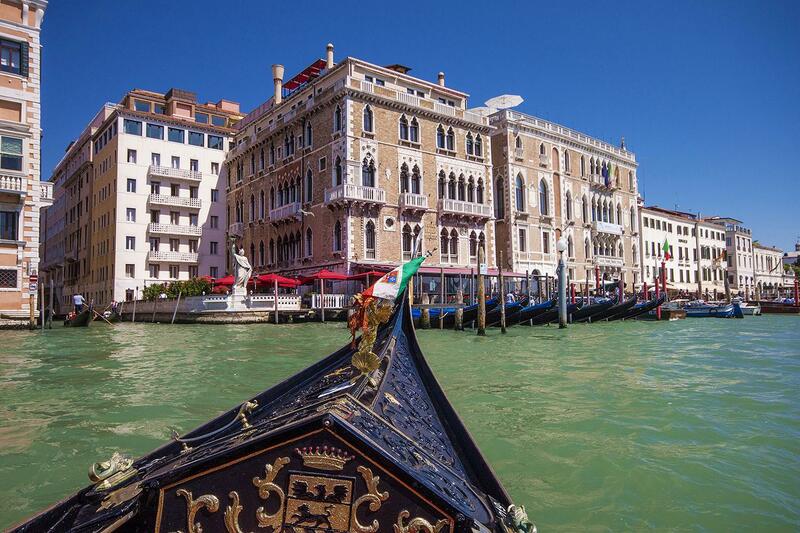 On this enchanting and relaxing way to enjoy the sights, charm, and beauty of Venice, you’ll admire elegant canal-side palaces, unique bridges, and the magic atmosphere that you’ll only find here. 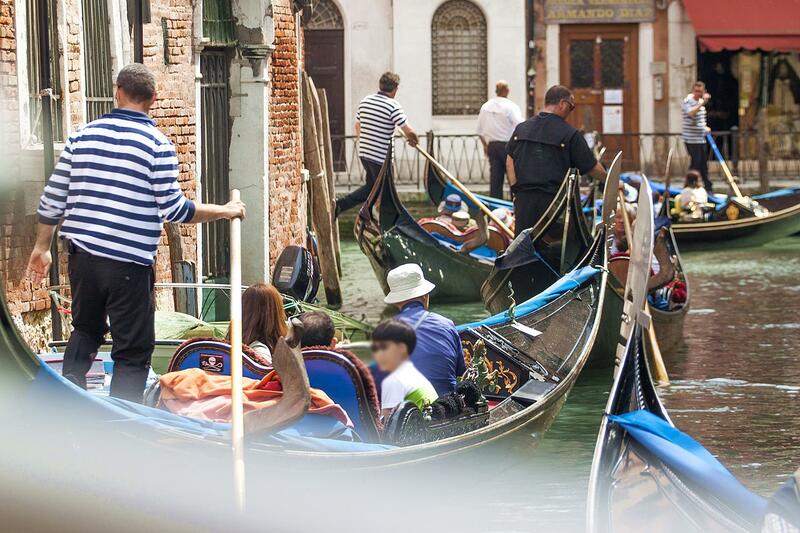 Please note each gondola can hold up to 6 people and it may happen that someone would be not seated in the desired place next to the partner, due to organizational and weight problems. Please note that no refund will be accepted for no shows or late arrivals. The Gondola Ride will take place also with rain, only in case of very heavy rain it might be cancelled and the tour will be refunded (if not taken another day/time).